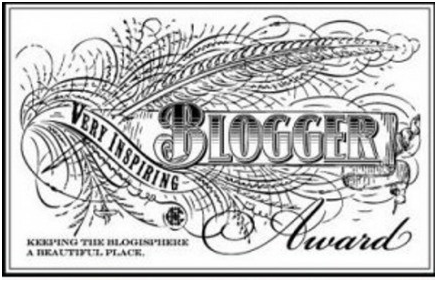 I’ve been nominated for the “Very Inspiring Blogger Award.” This is a real honor because it comes from one whose blog is truly inspiring. Pat Garcia tells the stories of courageous and neglected heroes of history at http://garciaandwalkon.me/ I would nominate her first if she hadn’t already nominated me. In accepting this award I am supposed to say seven things about myself and nominate fifteen other blogs. 1. I’m a poet who has not taken a class in poetry since seventh grade. I have, however, attended lots of workshops. 2. I’ve only lived in New Mexico for eight years; I’m still in love with desert and mountains. 3. I’m a member and past President of the Sacred Dance Guild. 5. It took me seventeen years to write my biography, John Emerson Roberts: Kansas City’s “Up-to-date” Freethought Preacher. 6. To get that project started I earned a Ph. D. in American Religious Studies from Temple University. 7. My current project is a response in poems to William Paley’s Natural Theology (1802), the publication that made famous the metaphor of God as watchmaker. My response focuses on how much has changed. It’s a stretch to find fifteen blogs to nominate when my predecessors have recently nominated many fine blogs that I also follow. Here are twelve. The Needy Helper (Lee Davy) www.needyhelper.com/ Anyone who sets out to read 52 books in 52 weeks inspires me. Twigs & Stones (http://twigsandstones-poems.blogspot.com/) Tanka and other short poems. The One Earth Project (http://leevanham.com/blog/) Can we live with the reality that we have only one earth’s worth of resources, not five? Digest This (http://www.digest-this.com/) Addressed to the human constituency. http://200newmexicopoems.wordpress.com/ A compendium of poems about New Mexico. Things I Want To Tell My Mother (http://warnerwriting.wordpress.com/) On memories and dealing with dementia. http://craighill.net/ Perspectives on news and history from Australia and China. Ellis Nelson (http://ellisnelson.com/) Author of Into the Land of Snows. http://houseboathouse.blogspot.com/#!/ Rose Mary Boehm, a woman of many talents, and a unique way with a website. Carlos Navarro (http://breadnm.blogspot.com/) A blog supporting Bread for the World in New Mexico. Lisa Michaels (http://lisa-michaels.com/blog/) Learn how to align your energy with the natural rhythms of the universe. Many thanks for your praise and appreciation of my blog. Your blog is one that I enjoy reading because I am challenged to think, I learn new things and I like your style of writing. This morning I learned some great things about you that have deeply impressed me. I wish you also all the best with your new book. Two of the blogs you picked, I follow and enjoy them also. The rest I am interested in and will take the time to visit them also. Have a great day, Ellen and enjoy New Mexico. I don’t know whether I told you but I was in Albuquerque in 2008. My husband and I spent four nights and five days in that beautiful city and also drove throughout the state to catch the flavor of the land. It was a beautiful and we both admired landscapes within the state. Hi. Thanks for including me in your list here! I enjoyed reading your “Seven things.” You sound like an interesting, and busy, person! Your current project sounds intriguing.